If you happen to be a bit of a last minute person when it comes to buying christmas presents then rest assured, I have put together a short list to give you some ideas on what to get your beloved from skincare treats to stationary. Carrying on reading below to find out whats on the list. I don't know if you remember but I spoke a great deal about Neals Yard Remedies wild rose beauty balm in a previous post where talked in great lengths about the various different applications. The wild rose beauty balm is now one of my firm favourite beauty product and along with the elixir beauty and body elixir, you or your gift receiver will be in for a treat with this wild rose collection. If you happen to know a nail polish fiend then this collection from Nails Inc. would be the ideal nail polish collection to buy them. With a selection of four nail paints and a base and top coat, your receiver, will have enough colours to last them a good number of weeks and also great their own manicures from the comfort of their homes. Let me also add that at £25 for six full sized bottles of nails inc, this is by far a complete bargain and a great buy. I feel that very little needs to be said about this Caudalie duo set. With the Caudalie beauty elixir being a best seller and one of the company's best seller it's a no brainer to pick up this radiant complexion duo especially when you get a buffing cream as well for the price you would normally pay for just one beauty elixir. If you happen to know a beauty enthusiast then rest assured they will be pleased to receive this as a present. Some folks are very much into their stationary and seeing as Christmas is the time you buy extra special gifts for people, why not fork out a little on these Kate Spade stationary bits. If they don't make sense to grab them on any other day, then I think buying them as a Christmas gift makes a great deal of sense and your receiver will be forever grateful providing they are a stationary queen. You can never go wrong with a good quality bottle of perfume. It's a safe choice and most do love a good perfume. I may have suggested a Jo Malone candle because it's one of my favourites but there are several options you could go for. The main thing I want you to take away from this suggestion is the idea of possibly getting a candle for your beloved as a Christmas gift option. The facial cleanser brushes have risen to popularity this past year and are a must have for most skincare fanatics. If you happen to know a skincare fan then go ahead and gift them this little surprise to improve their skincare routine. I'm sure they will be forever grateful for the new addition. 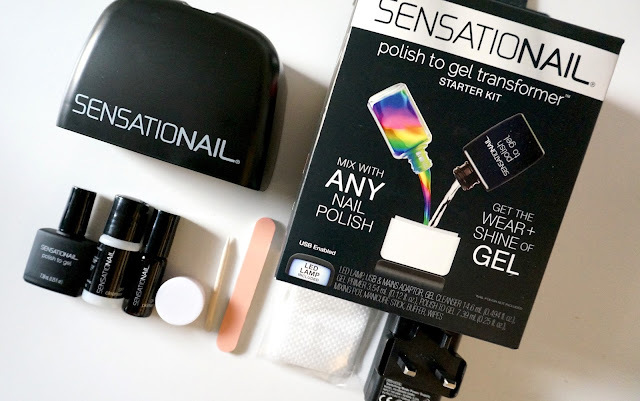 Here's another one for those nail polish fiends out there, the idea of being able to great your own gel manicure from the comfort of your home is something most wish for. If you happen to know someone whose regularly popping into the nail bar then why not give them this gift so they can have a go at creating their very own manicure at home.